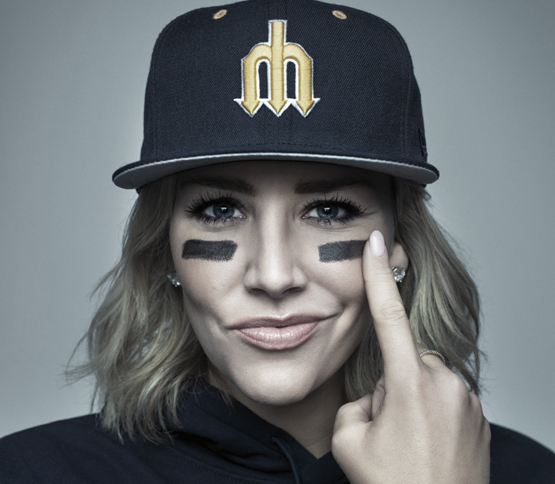 Charissa Thompson is the host FOX NFL KICKOFF and Sunday NFL pregame shows, Thompson serves as the show’s versatile ringmaster – conducting interviews, leading segments and deftly moderating discussions among studio analysts Colin Cowherd, Charles Tillman and Dave Wannstedt. 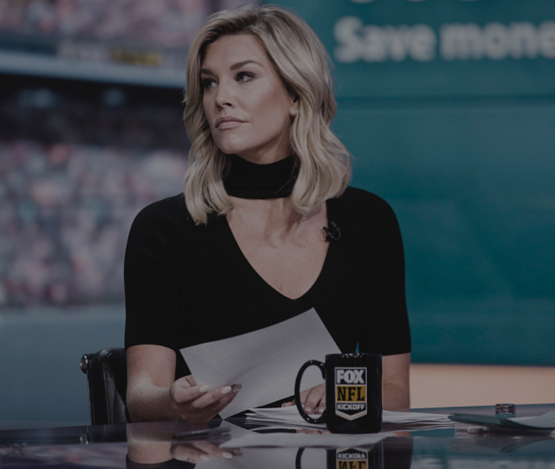 In addition, she recently added the duty of serving as the Sunday game-break anchor for the NFL on FOX, voicing highlight packages that cut into FOX Sports’ presentation of regular season NFL games every Sunday. A Seattle native who attended the University of California, Santa Barbara, Thompson moved to Los Angeles following graduation to accept a position in the aforementioned human resources department at FOX Sports. After completing her daily duties in HR during the standard work day, she ventured into the network’s highlights department for a crash course on how to cut and organize game clips and also log video tape. Discovering a continued interest in production, she applied for and received a production assistant position at FOX Sports Net Rocky Mountain in 2007. While in Denver, she was given her first on-air opportunity as a fill-in host for the channel’s Saturday evening Colorado Rockies all-access show. Showing an almost instant comfort level in front of the camera, Thompson was approached by FOX executives about a role on the network’s nationally syndicated Best Damn Sports Show Period that was filmed in L.A. For the next two years, she was a regular host on the show, while also making spot appearances as a sideline reporter for both the NFL on FOX and the Big Ten Network’s Game of the Week. Thompson moved on from FOX Sports in 2010 and pulled double duty as a host for both Versus and Yahoo Sports. She anchored Versus’ NHL studio coverage and recorded web videos for the highly-trafficked Yahoo platform, leading the site’s presence at high-profile events, including the 2010 Winter Olympics, FIFA World Cup, Super Bowl XLV and the BCS National Championship. Success in both of those arenas led to her joining ESPN in August of 2011 where she was named one of the hosts for the network’s newly-conceived afternoon show, Numbers Never Lie. In July of 2012, she transitioned over to the popular SportsNation program, enjoying a successful run that lasted until she left the network to return to Los Angeles for the launch of FS1 in May of 2013. On FS1, Thompson quickly became one of the faces of the young cable channel on its flagship nightly highlights, news and opinion program, FOX SPORTS LIVE. A sports fan at heart, Thompson has also shown the impressive versatility to crossover into the entertainment realm of television. After a series of part-time opportunities, she was named a permanent co-host for the evening Hollywood news magazine, Extra, in June of 2014. In that capacity, she tapes daily at Universal Studios, in addition to regularly attending and working awards shows, film premieres and other events throughout the year. Given name Charissa Jean Thompson…Born in Seattle…Attended Inglemoor High School in Kenmore, Wash., lettering three times in basketball, twice in track and once in volleyball…Graduated from UCSB with a B.A. in law and society…Brother, Tyson, played baseball at Washington State…During her time in high school and college, she held a number of part-time jobs, including working as a nanny, a sales associate at Nordstrom, a waitress at The Cheesecake Factory restaurant, a barista at Starbucks and also as the operator of her own coffee stand in Los Angeles…In her free time, she enjoys yoga, running, interior decorating, boating and water sports…Lists her favorite athletes at Michael Jordan and Ken Griffey Jr., The Wizard of Oz and Gangs of New York as her favorite movies, and Lionel Richie and Lenny Kravitz among her favorite musicians…Residence: Venice, Calif.